Just like your body, your house should be kept healthy, too. Diets and exercise can help keep your body in shape, but what happens when your house is in need of a pick-me-up? We all need some help every once in a while. 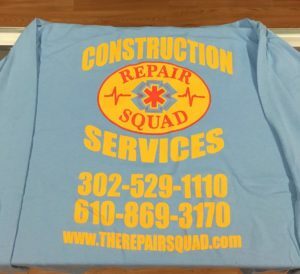 Thankfully, the guys at The Repair Squad are here to help get your home in top shape! From new construction to repairs, quick touch-ups to full remodels; you name it, they can do it. And with such an eye-catching logo, how could anyone forget about them? 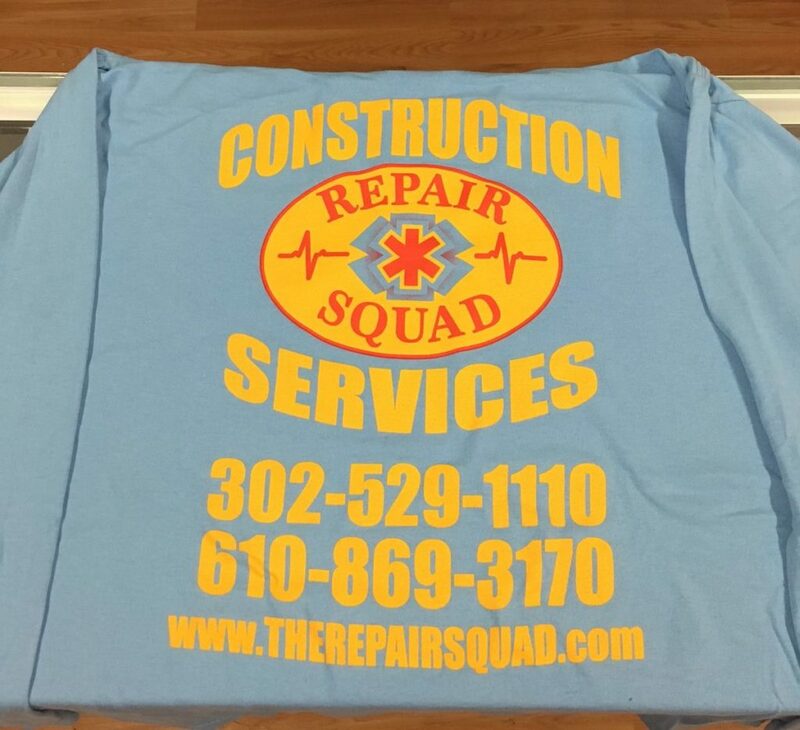 The Repair Squad called Synergy Print Design to bring some life back to their line of custom construction shirts. The design includes their clever logo, as well as all of the contact info you need to schedule your home’s next “appointment” with this talented team. Whether you’re looking for some new apparel to show off your awesome logo, or need help designing an eye-catching logo for your new line of shirts, we can help! Let Synergy get you and your staff dressed in apparel that will get your brand seen! Click here for your free quote on custom business apparel by Synergy Print Design. Russ Watkins is the owner of Synergy Print Design. Connect with him on Google+.